Wow...I could only hope to be so crafty! These are so cute! oh dear, i'm thoroughly shamed by the 99 cent target valentines i bought for both my kids;0. those fortune cookies are wonderful! 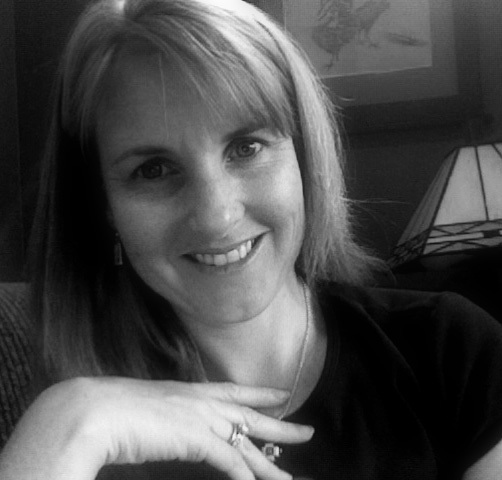 kudos to you! it is always such a great fleeing to use up items you already have. WOW you have true crafty talent - they are all fabulous. That's beautiful! 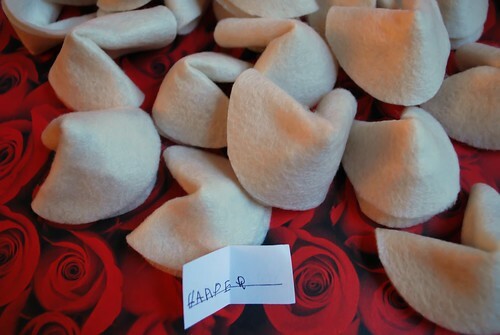 I love the photo of the "fortune cookies" on top of the roses. Well, aren't you little miss clever! SO cute, and SO original!! Harper will totally have the BEST valentines of the class! Those are special Valentine's indeed ~ they were made by hand and that takes time, which we all know is one of the most precious things we can give! Great job! Homemade valentine day cards are the best. 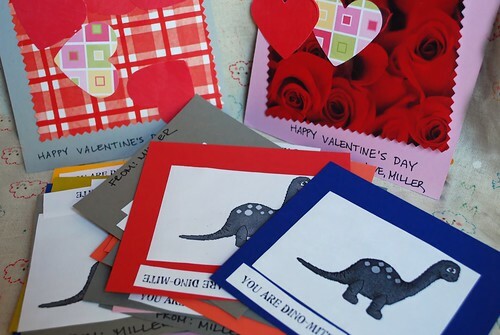 :) I've got a post about homemade valentine crafts for Saturday. Although I wish I had known about those felt fortune cookies. What a cute idea. I may have to use that one in the future with my 4-H kids. What a wonderful and special project. Those are great valentines! Love them!! Those are incredible! And very special - I'm sure the kids will love them more than any store-bought ones that is for sure! 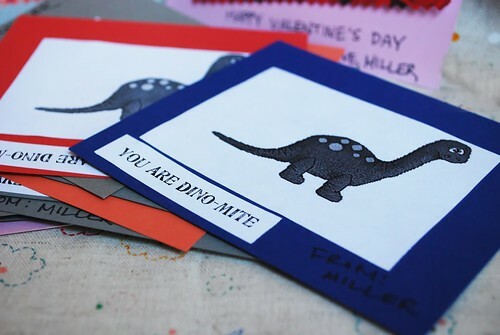 I love home made valentines :) Sadly, they are becoming a lost art.